I’ve made this recipe three times in the last couple months so I had to share it! The first time was for family at Christmas, then I made two pans for families who recently had babies. Each time it was a big hit! 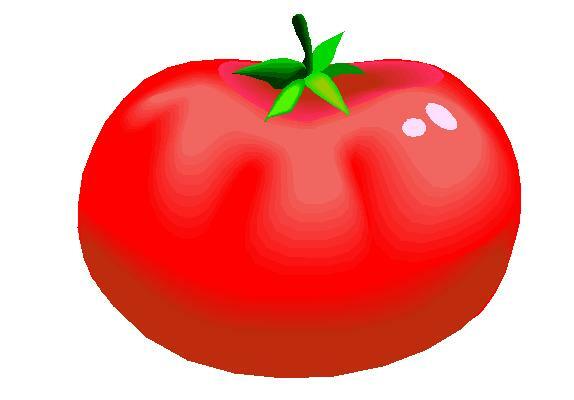 I simplified it by using a jar of tomato basil marinara instead of making my own tomato sauce. 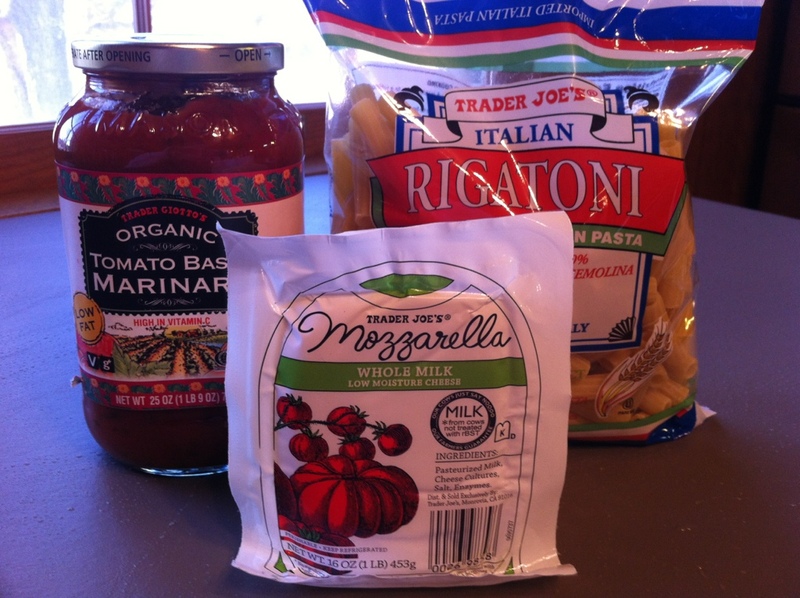 I bought most everything at Trader Joe’s. 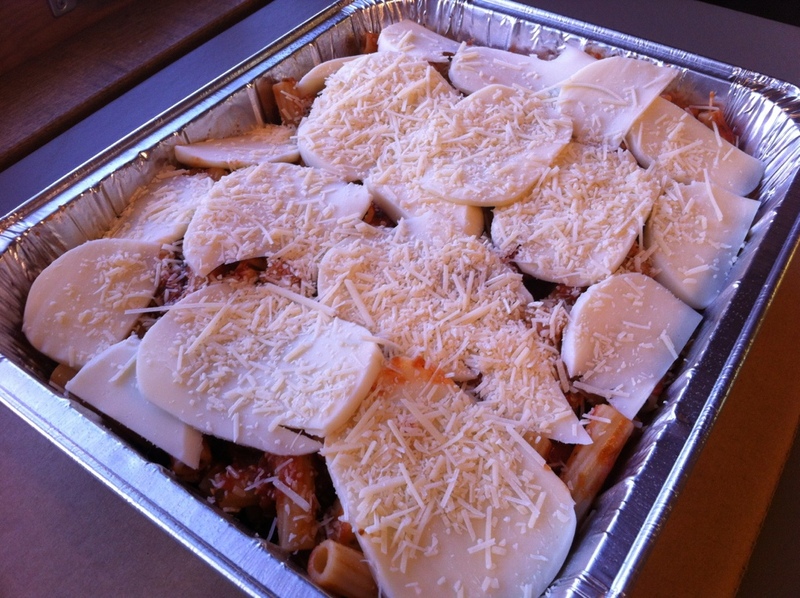 Here is the ziti pre-baked. If making this dish for someone else, cook the pasta and assemble everything, but leave the baking up to them. Don’t forget to include baking instructions! I wish I had a picture of the pan post-baking but I’m sure you can imagine all that cheese melted and gooey. I think the key ingredient is the fresh mozzarella so don’t skimp on it if you can. The best deal I could find is the 16oz ball pictured for $4.99 at TJ’s. The recipe makes a 9×13 pan so it will feed a lot of people, bringing the cost per serving down. Now I’m craving this again. I’ll have to write it into the meal plan next week! Previous Post Seedlings! Garden 2013 Begins!